Clifton Larson Allen is a large, nationwide accounting firm resulting from the merger between the two mid-sized accounting firms previously based in Peoria, Illinois and Minneapolis, Minnesota. 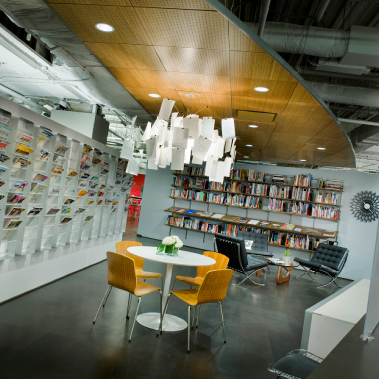 Although Peoria is no longer the home office for the new firm, the leadership at CLA asked DKA to create a space that feels like a corporate headquarters, is highly functional, and promotes a greater sense of professionalism in the work culture that had relaxed over the past decade. DKA’s principals worked closely with a cross-section of employees through a process created and facilitated by DKA. 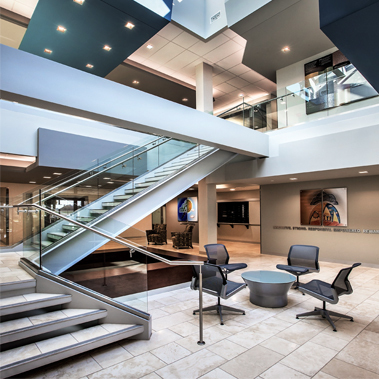 The process was designed to elicit input from employees regarding the options available for office environments such as the height of partitions, the configuration of workstations, interior offices versus offices along the exterior, informal conferencing needs, finishes, and the concept of opening the floors for visual, communicating, and traversing purposes. 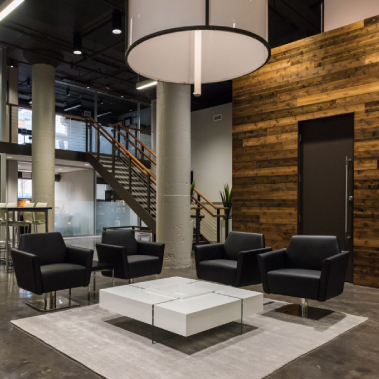 The input provided the direction for planning a space which would move their current offices dispersed over three floors of a nearly100-year-old building to two floors of the same building. Following the successful design phase, DKA devised a delivery method that merged the interests of both the building owner and the tenant. 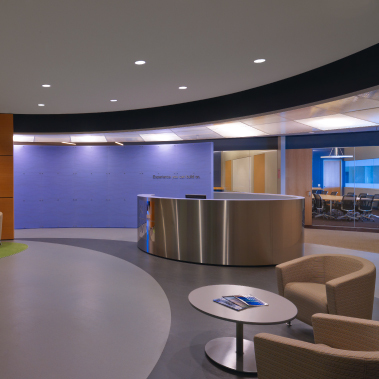 The project cost and schedule were also primary factors that required innovative solutions.